CJ Challenger picked up his first belt as he moved in to double figures. The clash, a 10-rounder for the vacant Midlands Area title at super-welterweight, took place at the Morningside Arena in Leicester. 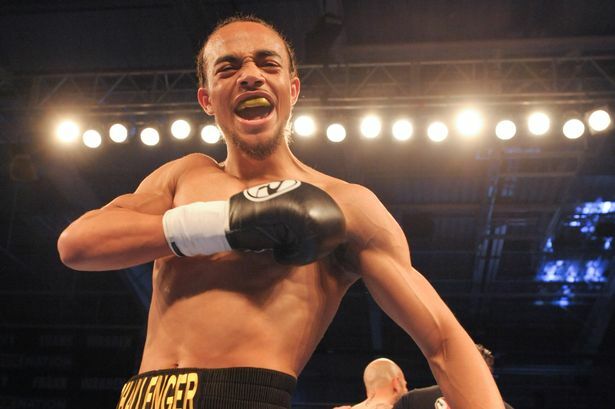 Challenger took on local rival Kyle Haywood in a tasty nip-and-tuck scrap that could have topped a smaller show, exclusively live on BT Sport, as part of the supporting cast to Sam Bowen’s British super-featherweight title defence against Jordan McCorry. The referee, Kevin Parker, who was scoring the contest, gave the fight to 24-year-old by a two-point margin of 97 points to 95. It was a close affair, with both men having periods of success. It looked, during the middle rounds, like Haywood was dropping off the pace, but he picked it up towards the end after guidance from his trainer Carl Greaves. Unfortunately for him, it wasn’t quite enough and he slipped to 8-1 in defeat, while Challenger moves on and will be hoping to secure more silverware in the not-too-distant future. Meanwhile, Lyon Woodstock was awarded a bizarre scorecard of 80 points to 71 against Barcelona-based Nicaraguan Sergio Gonzalez. Gonzalez was dropped in the final round but gave the Leicester man countless moments of trouble in the fight and was unjustly done out of a single stanza of the contest. Ricky Hatton-trained light-heavyweight Tommy Fury delivered on his promise of a “big, dirty knockout” as he stopped Callum Ide after just 94 seconds of the opener, dropping his man twice with body shots before referee Chris Dean had seen enough and reached the count of 10, while Portsmouth’s Mark Chamberlain made a similar statement as he got rid of Laszlo Szoke in just 57 seconds. Callum Blockley outpointed Dale Arrowsmith over four but there was plenty more excitement for Troy Williamson as he dropped and stopped the durable Kevin McCauley with three seconds remaining in the second round. [QUOTE=Oldskoolg;19610984]He got what he deserved....completely unprofessional[/QUOTE] He will join that YouTube compilation "when coky fighters get destroyed". That Sediri guy is a moron. Wow!!!! What a knockout win by maxwell!